JPRC036 - 6mm Limestone color yellow. Also available in different colors. JPRC037 - 6mm Limestone color red. Also available in different colors. JPRC038 - 6mm Limestone color green. Also available in different colors. 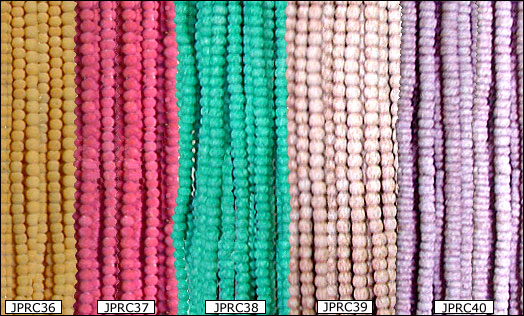 JPRC039 - 7-8mm Wood Beads color brown. Also available in different colors. JPRC040 - 7-8mm Coco Pukalet color violet. Also available in different colors.